One of the few ways to personalise the Apple Watch is to change the watch face. Apple has kept the number of Apple Watch faces on a tight leash, though, drip feeding us new offerings with every watchOS update, and not allowing any third party editions. But changing this up is easy. Read on and we’ll show you how to change and customise the watch face. You can change the Apple Watch face really easily just by sliding your finger left or right across the screen to scroll though options. Just keep scrolling to go through the catalogue until you find something that fits your mood. However, if you force press on your Apple Watch you can also add and choose watch faces from a scrolling carousel. Be aware this might not be an exhaustive list so hit the + option at the far right, which enables you to add new watch faces from the catalogue. 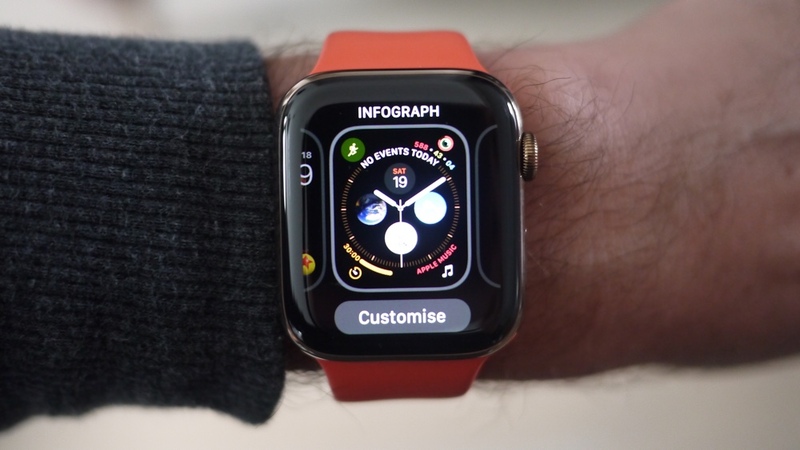 Using this option also means you can have two or more of the same watch face listed on the Apple Watch, but rocking different colours or complication styles. For example, Infograph Modular could be set up for a work day with calendar and contact information, but on a weekend you might prefer workout data and weather information. So multiple watch face styles can appear within your list. When you press and hols to cycle through watch faces, you'll notice the Customize button – this enables you to edit the colours, design elements and complications of each watch face and have them saved into this library. Once you press Customize, there'll be a green line pulsing around your watch face. Swipe over to the right a couple times until you can't swipe over any more. This is the area where you can change your complications. You can now select the individual complication areas and use the Digital Crown to select a new one. You can also choose your complications in the companion Watch app on your phone. All you have to do is click on any individual face in the "My Faces" section in the companion app and scroll down to the "Complications" area. If you open the Apple Watch companion app you can select a watch face from the list. Go to the companion app and open the Face Gallery. From there you can scroll through each watch face and a host of customised options and apply them to your Apple Watch from the app. It certainly makes it easier to compare the subtleties of complications side-by-side – and delete any options you no longer like.